If you're a casual pen user, you don't need the fanciest of writing utensils. 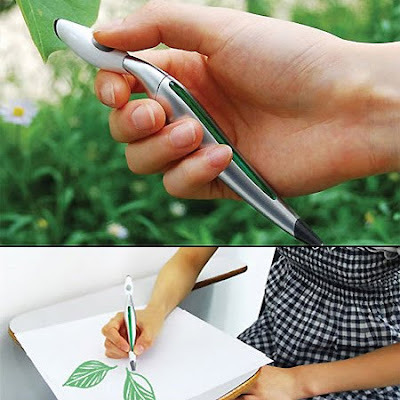 However, you may still be looking for something that thinks outside the box in terms of design, and this pen should do the trick. Here we have the "Color Picker", which can scan colors off any object and then enable the user to write with it via RGB inks that combine.